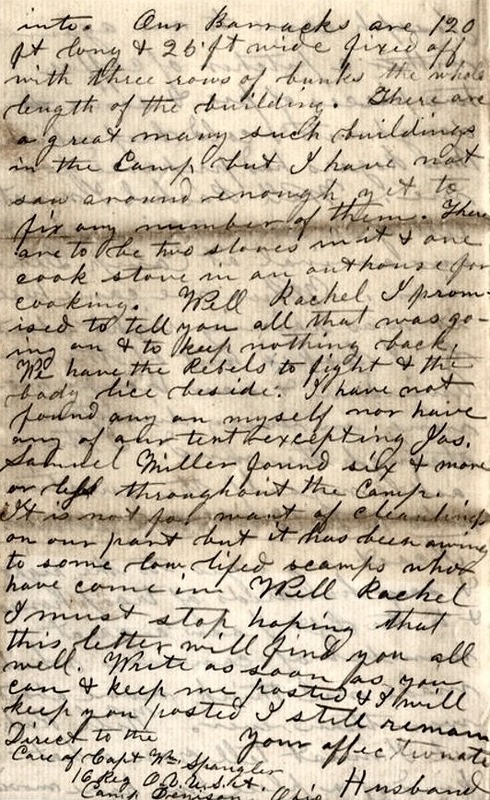 Images of the following letter were provided by Valerie Davison, great great granddaughter of John McClelland. 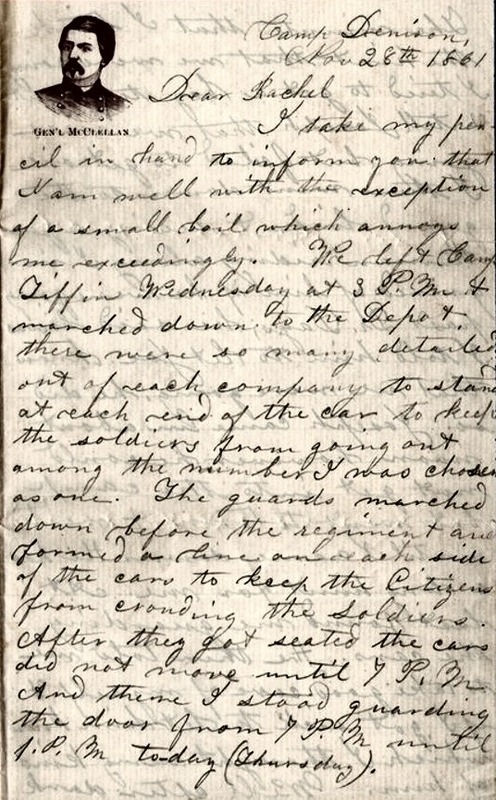 The letter was written by John McClelland to his wife, Rachel, from Camp Dennison, near Cincinnati, Ohio, where the 16th OVI was training in preparation for being deployed into combat. 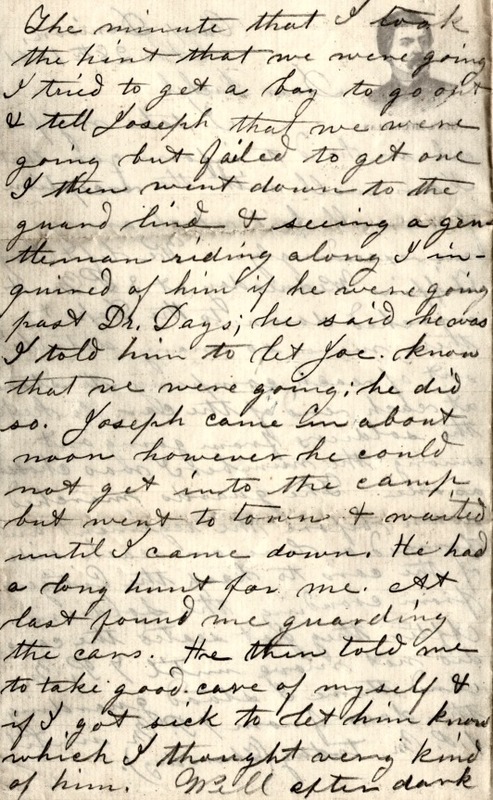 Additional history tells us the letter's author, sadly, was later captured during action at Cumberland Gap and died of disease on September 20, 1862, probably as a Confederate prisoner. 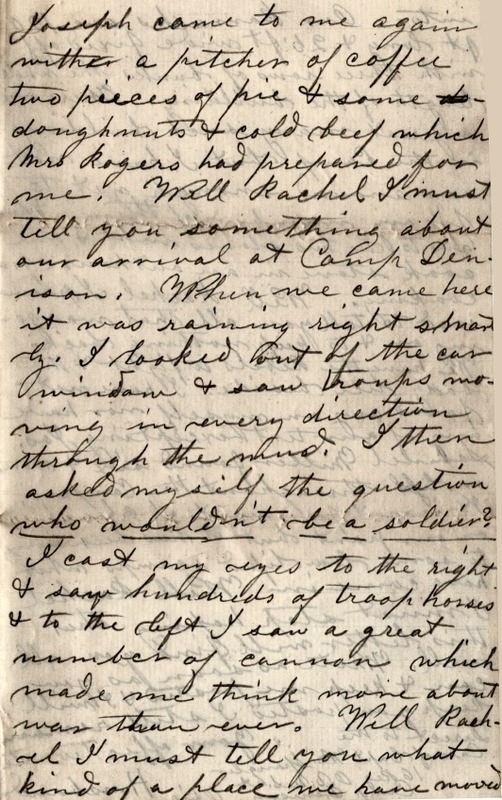 Below the images of the letter are transcriptions made by the donor, Valerie Davison. 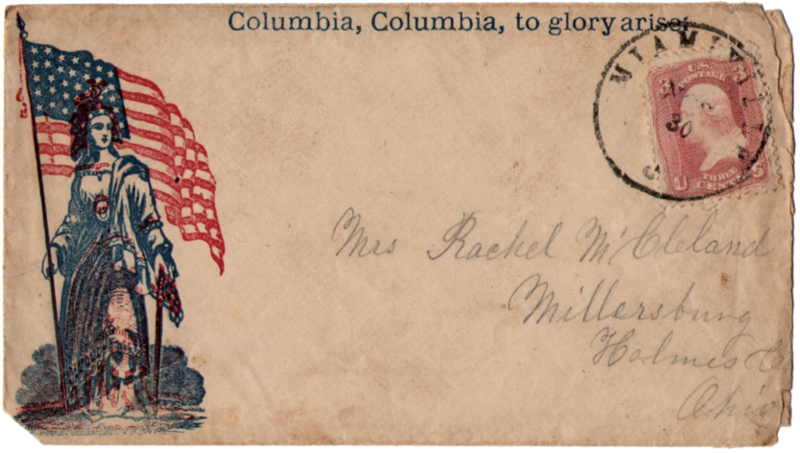 Thanks to Valerie for sharing these precious artifacts from the colorful and poignant history of the 16th Ohio Volunteer Infantry and the American Civil War. Please note the stationery containing the image of General George McClellan not to be confused with the author's name, McClelland. Please note the contrast of the letter images has been enhanced to make them more readable. Spelling is transcribed as near as possible to match the original author's and end of sentence periods were added, when necessary, to make reading easier. I take my pencil in hand to inform you that I am well, with the exception of a small boil which annoys me exceedingly. We left Camp Tiffin Wednesday at 3 P.M & marched down to the Depot. There were so many detailed out of each company to stand at each end of the car to keep the soldiers from going out among the number. I was chosen as one. The guards marched down before the regiment and formed a line on each side of the cars to keep the Citizens from crowding the Soldiers. After they got seated the cars did not move until 7 P.M. And thene I stood guarding the door from 7 P.M. until 1 P.M. to-day (Thursday). into. Our barracks are 120 ft. long & 25' wide fixed off with three rows of bunks the whole length of the building. There are a great many such buildings in the Camp, but I have not saw around enough yet to fix any number of them. There are to be two stoves in it & one cook stove in an outhouse for cooking. Well Rachel I promised to tell you all that was going on & to keep nothing back. We have the Rebels to fight & the body lice beside. Samuel Miller found six & more or less throughout the camp. It is not for want of cleaning on our part but it has been owing to some low life scamps who have come in. Well Rachel I must stop hoping that this letter will find you all well. Write as soon as you can & keep me posted & I will keep you posted. I still remain your affectionate Husband.